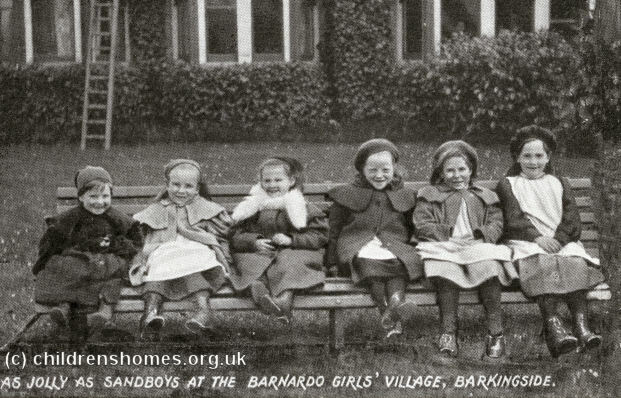 Following the failure of his first girls' home at Mossford Lodge, Barkingside, Thomas Barnardo decided to try a different approach. 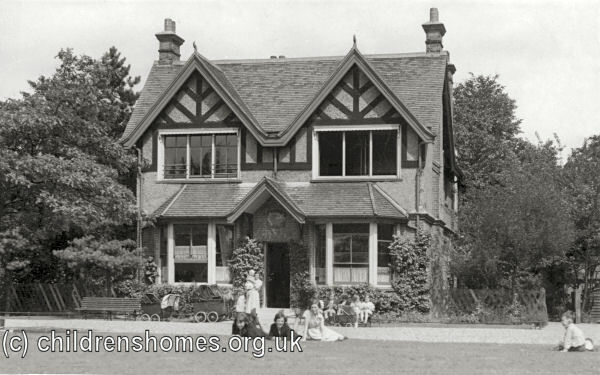 Mossford Lodge, like most children's homes of the day, had been what was often referred to as a 'barrack home'. 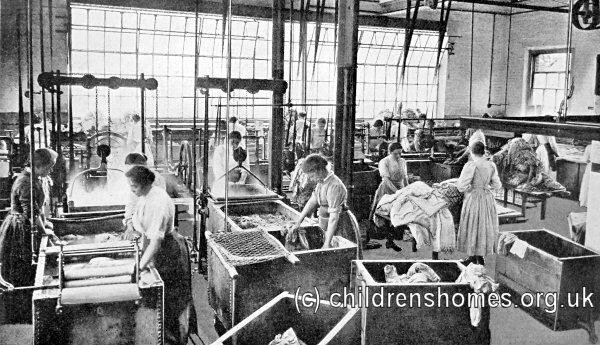 Such institutions, where large numbers of children were herded together, were increasingly seen by critics as injurious to the physical, educational and social development of their inmates, especially girls. 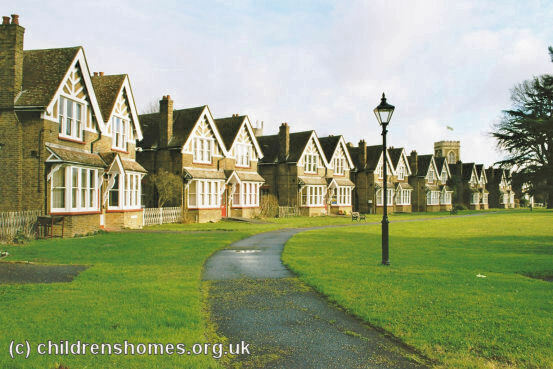 An alternative style of institution, originating in Europe but starting to create interest in Britain, was based on the 'cottage homes' model, with children living in small family-style groups under the supervision of a house-mother. 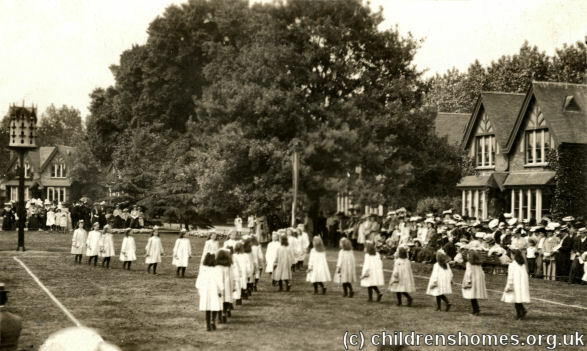 At the time, only two cottage homes institutions existed in England: the Home for Little Boys at Farningham in Kent opened in 1865, and Princess Mary's Village Home for Little Girls at Addlestone in Surrey founded in 1870. 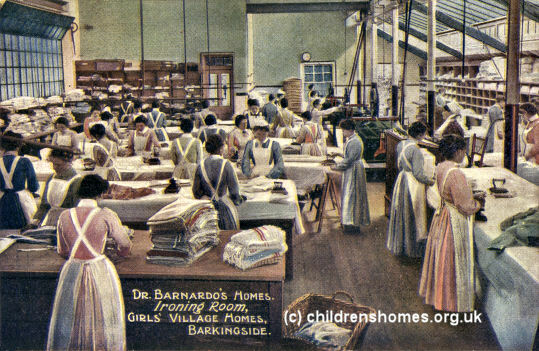 Barnardo decided to follow a similar route and announced plans for a girls' village home at Barkingside on land adjoining Mossford Lodge. He claimed that the idea had come to him in a dream but it is likely that he was aware of at least the Addlestone development. 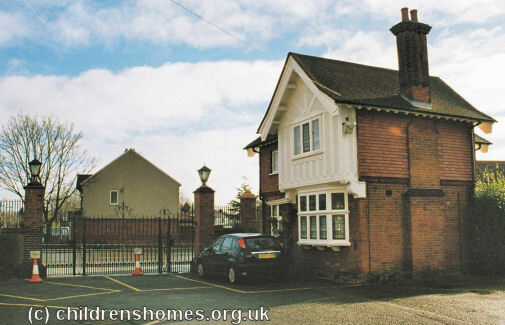 Barnardo's appeal for funds for his new scheme initially generated little response but received a boost when a Mr Dawson offered to finance the first cottage in memory of a much-loved daughter who had died. Within six months, money had been pledged for a further ten cottages and the ceremonial laying of their foundation stones took place in 1875. 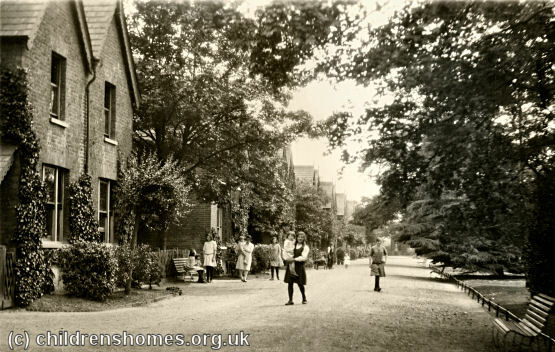 The official opening of the first thirteen cottages was carried out on July 9th, 1876. Development of the village occurred in three main phases. 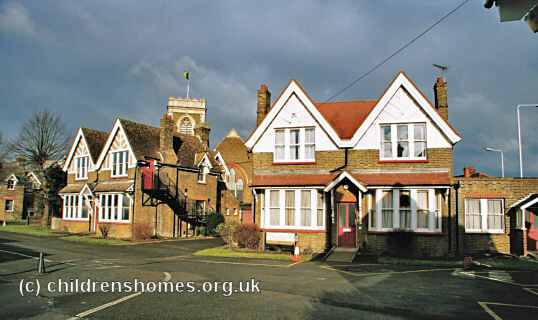 The original group of cottages running parallel with Horns Road at the eastern edge of the site were constructed in 1876-79. 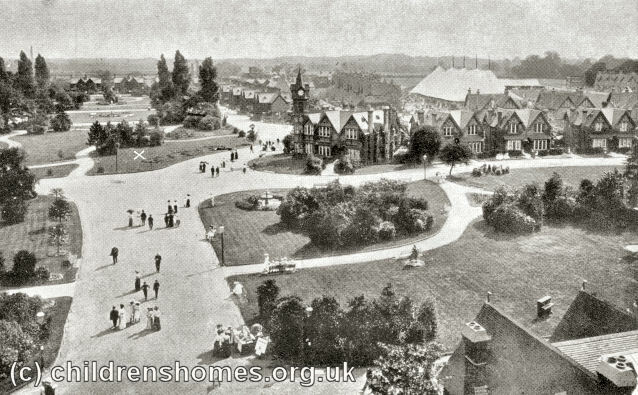 A second group, built in 1887-89 around what became known as the Babies' Green, ran westwards of the Horns Road entrance. The final group, erected in 1903-06, stood around a large green to the west of the original group. Providing an access route from the entrance through to this third section necessitated demolition of three of the original cottages at the south side of Cairns House. 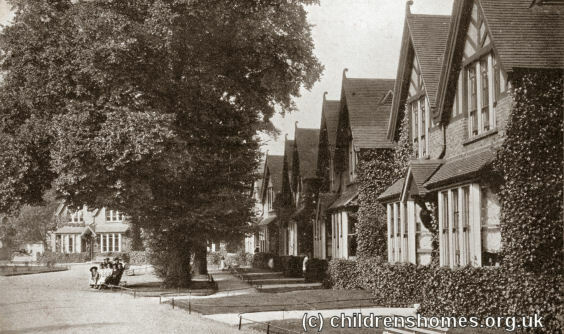 Two of these, Beehive and Eton, had their names transferred to new phase three cottages. The name of the third cottage, Hahnemann, appears not to have been retained. 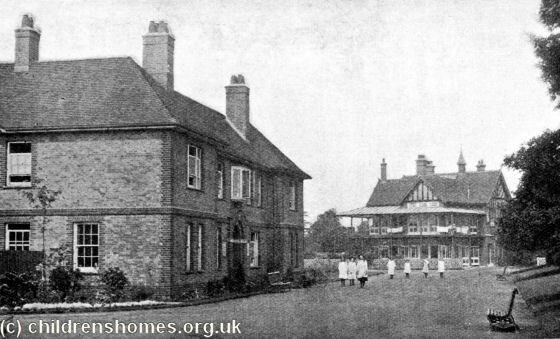 The size of the cottages changed in each phase of development. The initial group each generally housed sixteen girls, the second group twenty-five, and the third group twenty. 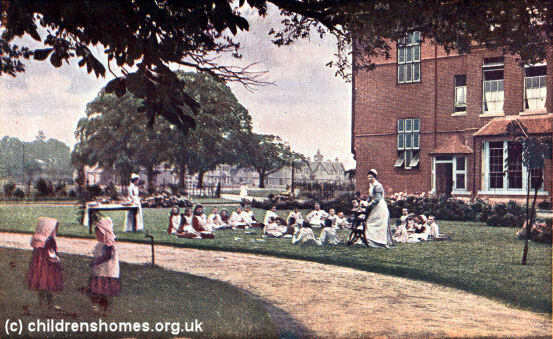 The final capacity of the home was around 1500 girls (plus a few small boys). The layout of the home in the mid-1930s is shown on the map below. 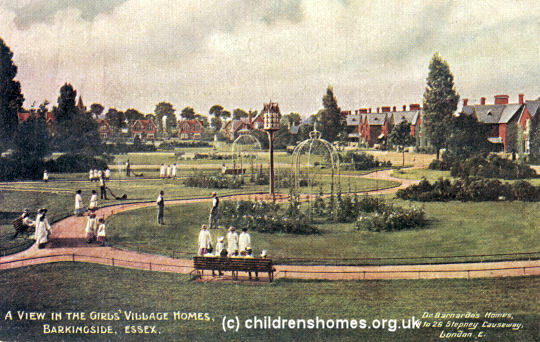 Girls' Village Home site, Barkingside, c.1938. A list of the cottages and other (with their date of construction) is given in the table below. The number or letter in front of each name is used to mark its position on the map above. 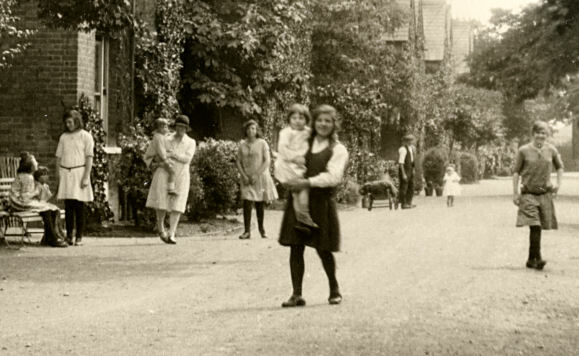 At one time, Meadow Cottage was used only to house babies. 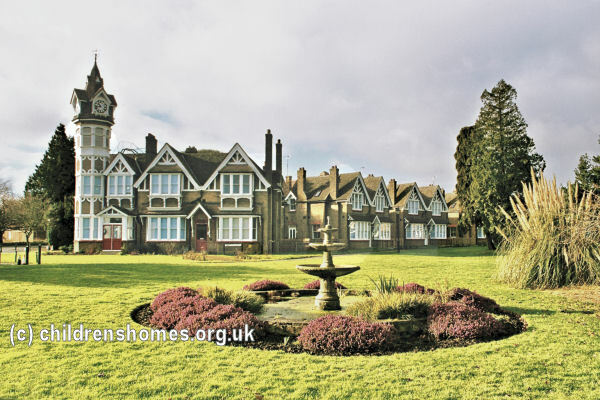 Queen Victoria House was originally used as a receiving and quarantine house for new arrivals at the Village Home but in 1928 became a training home for girls who were being emigrated to Canada or Australia. 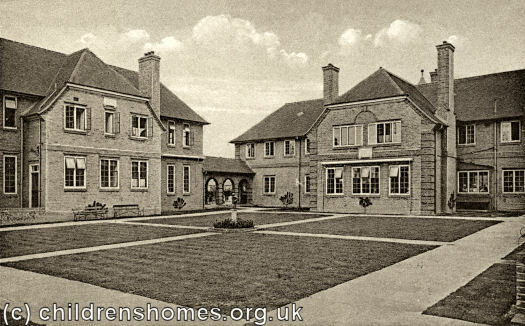 The Watts Sanatorium provided facilities for the treatment of cases of tuberculosis, a condition then found particularly amongst those who had been living in poor conditions. The building was later used to house the Village Home's babies. 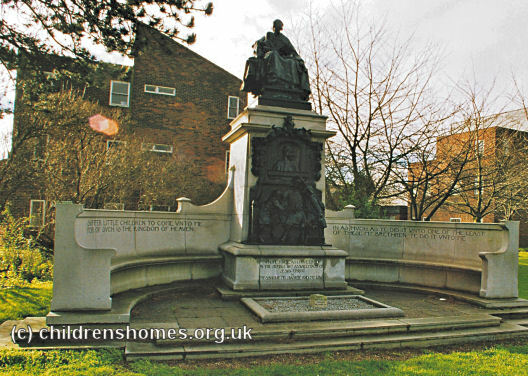 The Cairns Memorial House was erected in memory of the first President of the Dr Barnardo's Homes, Earl Cairns, and was opened on 6th August 1887. Mossford Lodge and the Australasian Hospital are described on separate pages. 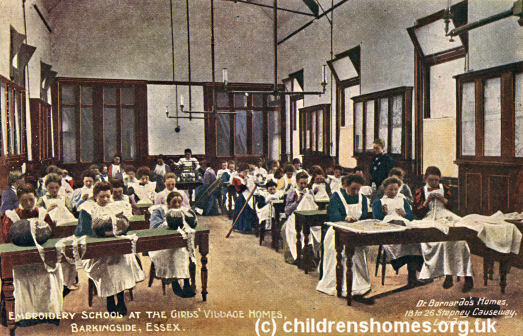 The main future destination for girls at Barkingside were entry into domestic service or emigration to Canada and Australia — in the early 1900s, around 300 a year departed for Canada. 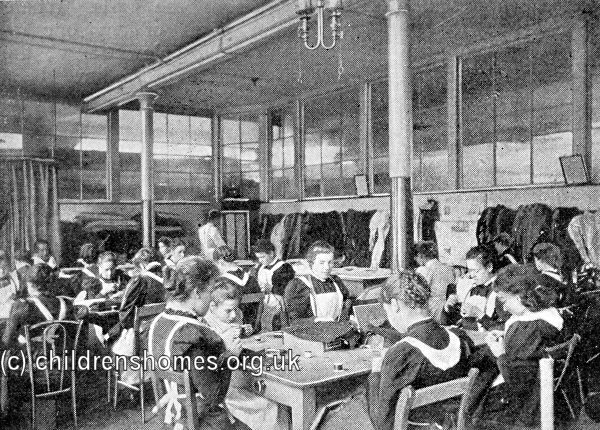 As well as basic education, the girls were trained in skill such as baking and bread-making, washing and laundry work, dressmaking, knitting, needlework and embroidery, crochet and lace-making. 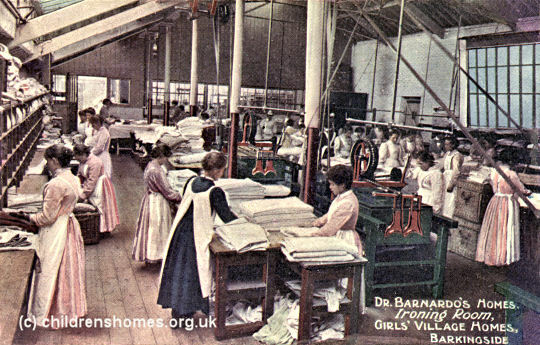 The home's steam laundry carried out the washing of clothes, bed-linen etc. for the whole home. In 1912, the total number of articles processed was reckoned to be 1,091,961. 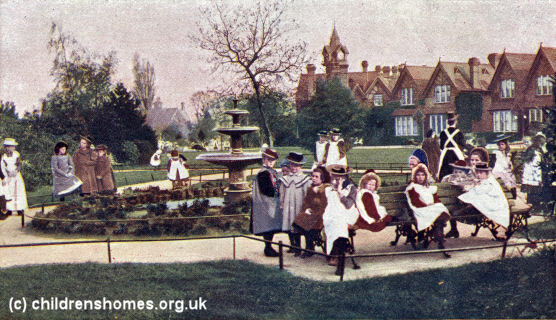 As well and education and training, the home placed a great emphasis on physical fitness. A swimming pool was constructed at the south of the site (see Hospital photo above). The girls also performed activities such as musical drill. 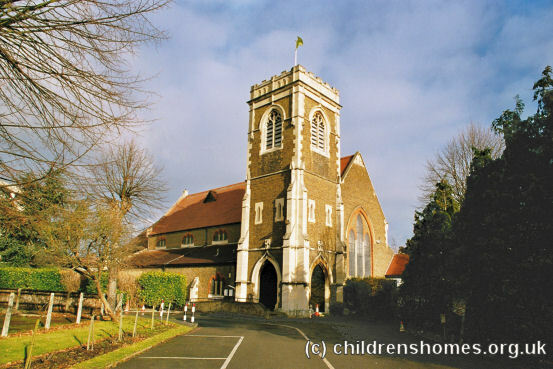 Thomas Barnardo died on September 19th, 1905, with his funeral taking place eight days later in a large marquee at the Girls' Village. On October 4th, his now cremated remains were placed in a grave in front of Cairns House. A view (below) from the church tower, presumably taken on the day of his funeral, marks the location of the grave with a white cross. 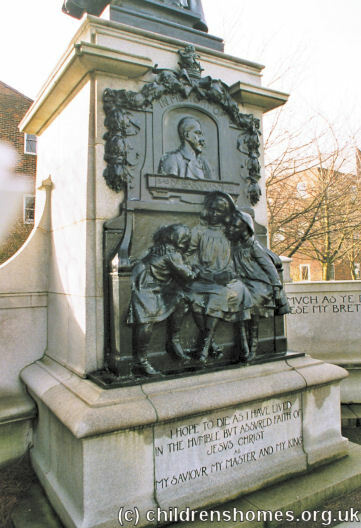 A stone monument was erected over the grave in 1908. 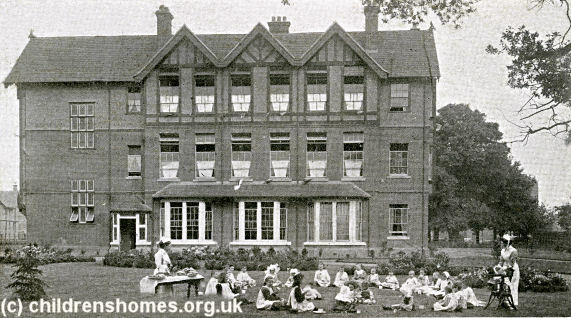 As well as the accommodation in the Village Home itself, a number hostels were later established in the area for girls from the home who had moved into service. These included Frostmead, Tudor House and Southwood House. 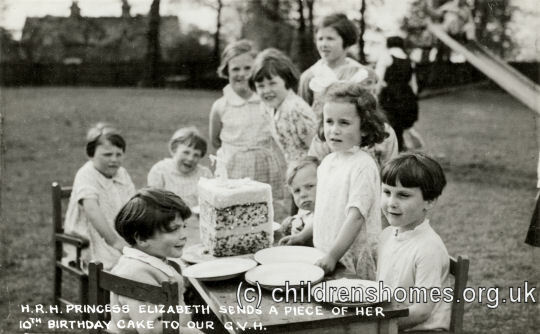 In 1936, the girls received a piece of Princess Elizabeth's 10th birthday cake (picture below). It must have been an enormous cake. 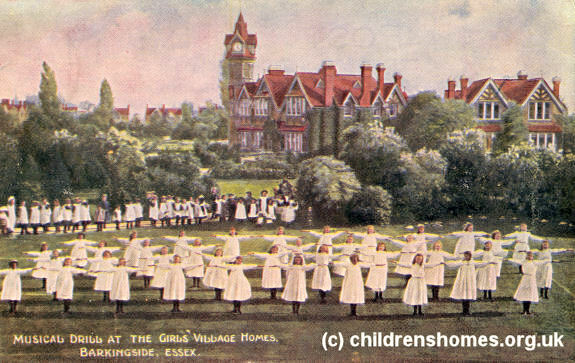 The Girls' Village Home was evacuated at the outbreak of war in 1939 and the site was requisitioned for wartime purposes. The home re-opened in 1945, now mixed and renamed The Village Home — later shortened to just The Village. 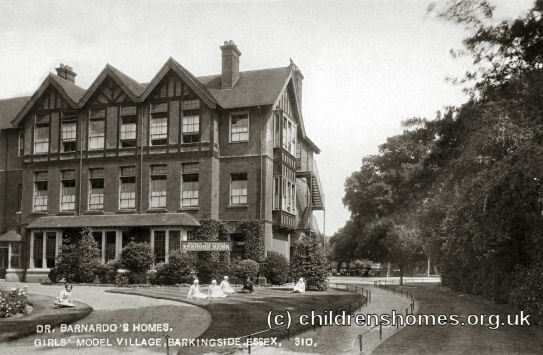 In 1969, Barnardo's moved its administrative headquarters from its historical base at Stepney Causeway to a new purpose-built five-storey office block on Tanner's Lane, at the north end of the Village Home site. 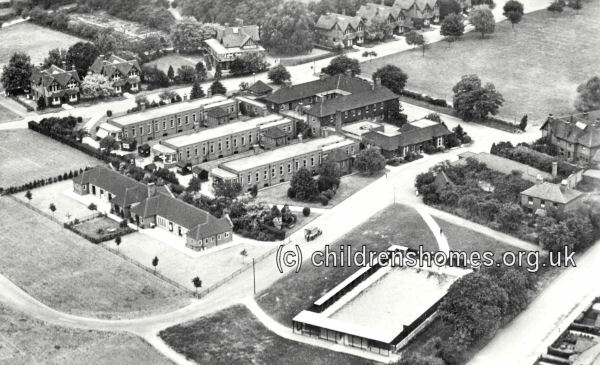 Following a steady decline in the numbers at the home and a general trend away from placing children in institutional care, the residential facilities at The Village finally closed in 1991. Many of the old buildings have now been demolished. 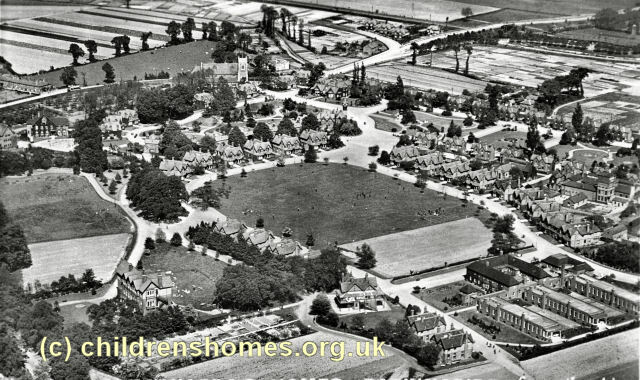 The northern group of cottages survives around what is now known as the Village Green, together with the church, entrance lodge, Cairns House, and a few other buildings. Following the site's designation as a conservation area, a number of features such as the entrance gates, fountains, and the clock and bells in Cairns House have been renovated. 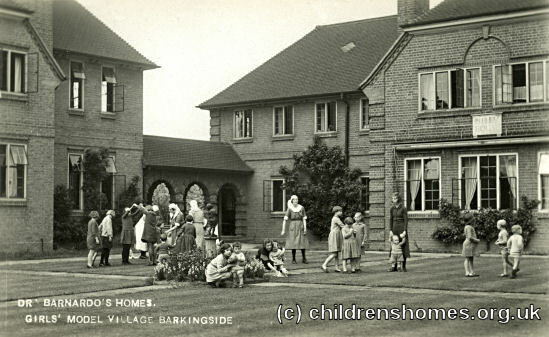 Barker, Jeff Caring for Other People's Children — Jeff Barker's Memoirs of working at the Canterbury, Barkingside and Bedford Barnardo Homes.